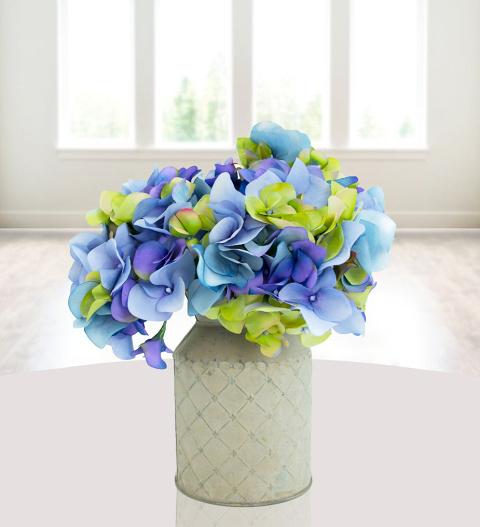 Colourful and charming, this bunch of silk hydrangeas will look great in any room and make a stunning gift for your special recipient. The petals of these flowers vary in colour from green to blue and even darker shades that are almost purple. Carefully arranged in a milk churn, send these flowers to celebrate a birthday, anniversary, as a congratulations gift, or any other occasion.